Alphonso Underwood is the Youth Outreach Specialist with the Independent Living Program at Children’s Aid Society. 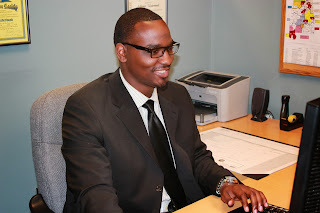 Alphonso has worked with CAS on projects since 2010, but began his employment with the agency in February of 2012. In October of 2013, Alphonso joined the Independent Living Program as the Youth Outreach Specialist. Alphonso was born in Birmingham, Alabama and was primarily raised in Montgomery, Alabama. Alphonso is the middle child of five siblings who all grew up in foster care. Alphonso entered the foster care system at the young age of three due to his mother’s inability to adequately care for his siblings and him. Unlike many foster youth Alphonso was able to be reunited with his family at the age of seven, but reentered the foster care system at the age of ten. Alphonso lived in 3 foster homes before becoming a resident at Brantwood Children’s Home. With the support of Brantwood staff, social workers, and other foster youth Alphonso graduated from Robert E. Lee High School and started college at Alabama State University where he majored in social work. After receiving his Bachelor of Social Work in 2011, Alphonso went on to get his Master of Social Work from the University of Alabama in 2013. Alphonso is an alumnus of the D.R.E.A.M. Council where he served as the council’s first president from 2006-2008. Outside of work, Alphonso enjoys playing basketball, working out, traveling, and experience new things. Today, Alphonso works as a Licensed Graduated Social Worker to help positively impact the lives of foster youth. Alphonso’s passion, commitment, education, and guidance have allowed him to serve a youth population that defines him even today. 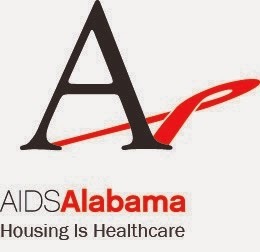 To contact Mr. Alphonso Underwood email him at aunderwood@childrensaid.org or call 205-943-5345.